When it comes to harnessing the resources around us, doing it in a fast and effective manner ensures that we get the best results and optimum functions for those resources. One way we can harness the resources around is through the use of borehole motors available in Johannesburg. This is done is through the use of a long cylindrical pipe that is installed into the Earth’s surface. This pipe reaches a section of underground water that can then be used for personal or industrial use. Through the use of electrical water pumps, many methods of extractions can be utilised, all for different purposes. Take a look at what kind of water pumps are available. When it comes to extraction of water in a confined space there are certain factors that come into play; electric water pumps come in all shapes and sizes depending on the task at hand. A Zuwa pump is used mainly for personal use and external threats such as flooding due to rain or a burst pipe. When an area at home has flooded a room or more, the use of a zuwa pump extracts the water thoroughly, until it is completely dry. If a carpet has been flooded, the use of a suction mat allows all water to be extracted. Through the use of rotating propeller, it causes air to be pulled very quickly from the entrance to the exit thus creating a high volume vortex affect. When it comes to our personal time on the loo, we do not like speaking about what happens after the whoosh of the leaver. Unfortunately, sometimes it springs up on us when a pipe gives in. luckily through the use of a sewage pump it is just one big slurp and then there is no longer an issue. The sewage pumps work in the same rotary motion as the electrical water pumps, which allows for maximum suction power. If you have a leak that needs sorting to, or wish to harness water effectively for personal or industrial purposes, contact Ernest Electro to dry up all your worries. Contact their Tel at: +27(11) 792 9550 or email them at eeeaman@mweb.co.za. 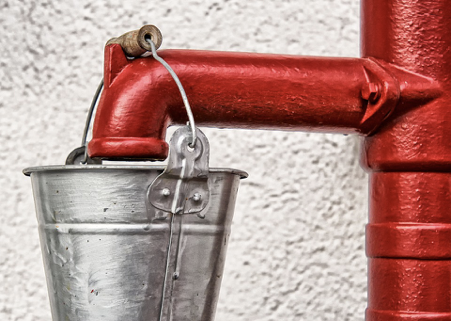 Have you ever found yourself stuck in a predicament where a pipe has broken, completely flooding your home and furniture, costing you a fortune? It happens. However, with extraction systems designed to solve any unforeseen leakages, there is no need to worry. When these external factors spring up on us, there is a battle to find a quick solution in order to prevent any further damage. One easy solution is an electric water pump for any leakage problems that may come up to try and ruin your day. When it comes to extraction systems, we may not always know how they function or how to set them up, which can be incredibly daunting when we are faced with a problem that we need to urgently solve. The help of videos and tutorials goes a long way to help enlighten anyone about what the capabilities are of these incredible extraction machines. With that being said, water extraction or similar removals need to be done by professionals. Sometimes, water leakage may not be the problem, but looking for better ways to utilise water is a great solution nonetheless. South Africa is often affected by droughts and various water shortage problems have become an environmental problem for individuals and our country itself. Installation of borehole motors in Johannesburg, offers families their own personal supply of water when droughts roll in, whilst affording advancements on the environmental whole with sustainable solutions. South Africa has a very high poverty rate, sitting at 55.5%. it is clear that the majority of the country does not receive basic human needs. One of the most important human needs include the supply of uncontaminated water. Through the help of borehole motors in Johannesburg, there is a chance to give every South African the basic human needs that they deserve. If you have a flood situation that needs fixing, are concerned about the prevention of leakages or if you are interested in sustainable environmental solutions in terms of water supply, Contact Ernest Electro at their Tel: +27(11) 792 9550 or email them at eeeaman@mweb.co.za. German engineers and products that hail from Germany are almost indisputably considered to be the best in the world. But what is the rationalization behind this? This article will focus on 4 key points that prove that if you want something that is well engineered, as a rule German goods are likely to be top of their class. How and why does Germany have such an impressive engineering culture? German engineering companies are world famous for their production capabilities. Examples can be found in the automobile world in brands such as Mercedes, Audi, Porsche and BMW – companies that are well respected and known all over the world. German engineers are also world leading innovators and have invented some of the most technologically advanced products the world has even seen. As a rule, people who buy German products are more than likely looking for cutting-edge technology or a highly special design that probably cannot be found anywhere else. This has allowed Germany to dominate many markets. Aspirin, magnetic tape, x-rays and the electron microscope were all invented in Germany by Germans? German ingenuity is based on very deep technical expertise, which allows even the smallest German firms to become market leaders in very narrow segments. Investments in research and development activities is a very serious matter, and the industry spends billions to advance its interests. German companies continue to improve and advance in sectors such as the chemical industry, medical engineering, electrical equipment industry, automotive industry, and mechanical engineering. By investing heavily in innovation, Germany has managed to keep ahead of the rest of the world and supply markets with distinctive and in-demand products. Germany’s engineering education system has a very well regarded reputation around the world. Germany’s system includes a combination of classroom and business, theory and practice, learning and working. It is embedded deeply within the society and has close ties with leading players in the industry. The cooperation between mainly private companies and public schools has made this system one of the most attractive in the entire world when it comes to engineering. Private companies often bear the costs of the training, and this in turn helps them to save significantly on recruitment costs as they are able to identify and hire the best talent as soon as they have completed the course. Internships and apprenticeships are offered even to high school students to encourage their interest in engineering courses from an early age. Products such as German submersible pumps, as a rule, simply last longer. This is a point that is difficult to prove with statistics, but many will readily corroborate the fact that products that have a German origin generally enjoy longevity. This is likely due to a mixture of the three points discussed above. Ernest Electro Engineering is an armature winding company that has brought the refurbishing of electric motors forward since 1964. The owners hail from Germany, and engineering is in their blood. For the past 45 years, the company has specialized in supplying the best borehole & sewage pumps and has always adopted a very strong BEE policy both providing secure employment and extensive training for staff. Contact Ernest Electro for more information. Electric motor units perform a great amount of work in today’s times. They keep many different electronic devices working and running properly. Various types of electric motors are used to make our lives run smoother, however, they can cost a pretty penny to replace. Luckily, electric motor rewinding can be done in order to get your motor working again without the high price tag. There are many factors and reasons to consider when deciding whether to have your motor rewound instead of purchasing a new one. Professional care is needed when rewinding an electric motor as it is delicate. Even a small error throughout the process could result in quite a loss. It is by no means a simple task to rewind a motor, it is best to have a professional take a look and handle the rewinding process. At Ernest Electro we have professionals who are happy to help rewind your electric motors. How do you know electric motor rewinding is for you? When a motor’s insulation is damaged or ruined, the electricity will begin to transfer from winding to winding which will cause excess heat and damage the motor. Power problems often also result in the motor being damaged. Ensuring you take care of the routine maintenance which includes rewinding when necessary is going to extend the life and the productivity of your electric motor. When rewinding a motor, first the motor housing is removed in order to expose the windings. Then the wire from the tabs on the brush pads is carefully removed. The wind free coils then get cut from the motor. The insulation is inspected to ensure it is still in good shape, then the armature is rewound. The exact same winding pattern is recreated and the number of coils around each of the windings. The windings are then connected and the wires double checked to ensure that the tabs aren’t touching. Once all of the above is done, the motor housing is then reassembled. To rewind an electric motor is very tedious and quite difficult. Unless you are experienced, having a professional in the field take on the task is the way to go. At Ernest Electro we specialize in the rewinding of many different electric motors. Visit our website on www.ernestee.co.za/ for more information. The side channel pump is a niche product that is somewhere in between a centrifugal pump and a displacement pump. Initially, these types of liquid ring pumps we designed to pump gas, air and liquid mixtures. A side channel pump can be used for many different applications. •	Offer the ability to transport gas without any interruptions to the fluid flow or damage to the bearings. •	Offers maximum power consumption that its highest head and lowest flow rate. •	Narrows columns (side channels) are not suitable for abrasive particles in the fluids. •	A very low suction head (NPSH) is required. •	A steep capacity-head (Q-H) curves ideal for pressure-dependent system regulation. When the pump is started, it initially functions just like a displacement pump because of its self-priming capability, but once the side channels are filled with liquid, it will begin to operate like a centrifugal pump does. The centrifugal effect will then cause a collection of liquid in the outer region of the side channel and in the impeller cells, this forms the liquid ring that is necessary for the self-priming process. The inner region is where the gas builds up. A side channel pump is also able to operate as vacuum pump for a certain amount of time before the auxiliary liquid starts to heat up and then finally evaporates. Besides the pumps self-priming capability, it has the added advantage of also being able to handle big gas flows with the liquid. In some processes, it’s essential that the pump can, as least temporarily, evacuate vapours and gasses from the process without the liquid flow being interrupted. The standard radial centrifugal pump has a very limited capacity to transport gas within the medium. Even with a lower gas content, the liquid flow can immediately damage or interrupt the pump bearings because of dry running. The pressure build-up that is caused by the sum of the individual pulses during the liquid movement will create an internal multi-stage effect, even when there is only one impeller. A lower potential pump speed is possible because of higher pump heads thus helping to reduce the pump’s NPSH requirement compared to a high-speed pump. With a lower pump speed, you will have the additional advantage that part load performance, mechanical loads and noise can be controlled better and the pump’s expected service life is then generally increased. At Ernest Electro we specialise in a wide variety of pumping systems and solutions in Johannesburg. Visit our website on www.ernestee.co.za for more information. When we talk about motor efficient in electric water pumps, we talk about the ratio of who effectively the motor converts electrical energy into mechanical energy. In this ratio, there is generally a certain amount of loss of input power, creating a difference between the two. This margin of lost power is called watt loss, and generally comes in the form of heat. There are different types of efficiencies however, that determine how effectively a motor can convert energy from electric to mechanical. Let’s take a closer look here. Volumetric efficiency concerns itself with the ratio of the volume of fluid displaced by a piston in the motor during its operation. It is a term used to describe the operations of internal combustion density (particularly where fuel is concerned), but is not strictly exclusive to these types of motors. The hydraulic efficiency of a motor defines the torque required to drive it. This efficiency can be measured in terms of a percentage, with higher percentages requiring less force to drive the motor. Bear in mind, however, that an efficiency of 100% is actually impossible, since this basically means that no pressure would be required for operation. The combined efficiency of a motor measures the combination of hydraulic efficiency and volumetric efficiency. Working out this efficiency is wise for determining how much heat energy loss is being incurred in the motor during its operation. Typically this will be tested when a new motor of components are installed, so that one can ensure that it meets its requirements. Wherever a motor is performing fewer cycles (moving more slowly than it should), this test is also useful to see how much energy is being lost. The world of motors and electric water pumps is not as straightforward as it seems. If you are looking to buy a motor, have one repaired or would simply like to know more, contact a representative from Ernest Electro today, or visit our website for additional details. Although having a borehole installed can be quite costly, the long-term benefits are definitely worth it, especially if you want to swim in fresh water, want a green lawn or do not want to worry about the bill at the end of the month. 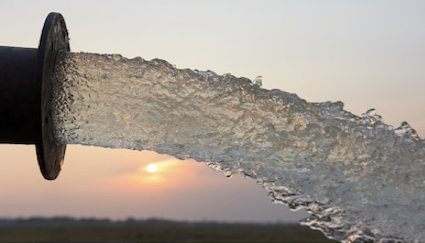 According to L’aura James of Borehole Water Association of Southern Africa: having a borehole is an asset that should last you at least ten to fifteen years at a low ongoing cost, this however, will only be possible if you buy correctly in the beginning. If not, it can become an extremely time-consuming and expensive liability with continual replacement or repair of the pumps, where the causes can either be incorrect pumping or pump installation or traced back to a poor borehole construction. •Water from your borehole will cost much less that the municipal water. Keep in mind that if you are making use of borehole water for human and animal consumption, or even to sill up your swimming pool, you will first need to have a Water Quality test done, this test needs to be done on an annual basis. When you take a sample of the borehole water to have a quality test done, remember to properly rinse out the container, even better, use a new container. If you should consume unsafe borehole water, it can result in diseases such as typhoid and cholera. Contact Ernest Electro on 011 792 9550 or visit our website on www.ernestee.co.za to find out more about boreholes and how to have one installed on your property. Electric water pumps, commonly used for boreholes and in factories, are at risk to galvanic corrosion by their very nature. While there are treatments you can use to keep them protected from this naturally occurring phenomenon. Galvanic corrosion can whittle the structure of a water pump down in no time at all, and when left unattended can completely compromise its integrity. 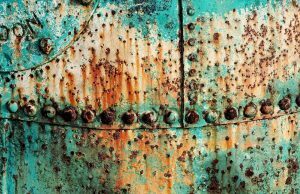 So to help you better combat this unwanted scourge, we will tell you more about how galvanic corrosion occurs. Galvanic corrosion, as I have said, occurs naturally, but requires fairly specific conditions. It firstly needs the presence of at least two metals of varying quality. One that will act as the anode, and one that acts as a cathode. There also needs to be the presence of an electrolyte that reacts between the two metals, and in the case of electric water pumps, this electrolyte is always present. The presence of water can also speed up the galvanic corrosion process, which is obviously present with water pumps. Now that we know what ingredients are needed for galvanic corrosion to occur, let’s see how they interact together. As I have said above one metal will act as an anode while other will act as a cathode. An anode is an electrode that allows conventional currents to enter into a polarized electrical device. The metal that acts as the cathode, will, by contrast, allow an electrical current to leave the electrical device. When these two metals come into contact with an electrolyte and an electrical conducting path between the metals, galvanic corrosion begins to occur. This corrosion will spread out from the concentrated centre where the electrolyte interacts with the anode metal and the cathode metal, eating away at the structure of the lesser metal. If left unattended for a long period of time, this corrosion will ultimately reduce a pump down to its frame, and eventually become inoperable. Sourcing pumps that are made from corrosive resistant materials will ensure that they last longer in the face of galvanic corrosion. Metals can also be treated on a regular basis to keep them protected. If you are in the market for high-quality, locally made electric water pumps for your property or establishment, feel free to call a representative from Ernest Electro today, or visit our website for details. In residential, or even commercial setups, water softening is an important part of removing built-up contaminants from pipes and plumbing, where they may cause problems with flow, pressure and structural integrity. When applied to plumbing they will clear pipes of lime, rust and mineral damage, reinvigorating them. Many of the appliances used in dentistry are fairly sensitive, and need to be kept away from harmful substances in order to be used safely, and this includes many types of cleaning materials. However, high levels of hygiene still need to be maintained in these types of setups. Water softeners are therefore commonly used in the dentistry industry to ensure that these appliances can be cleaned without any unwanted side-effects. Industrial plants of all types host a number of complicated and sensitive appliances, many of which work with mineral rich fluids and dangerous, corrosive chemicals on a consistent basis. Cleaning these appliances through regular means is not only ineffective, but may sometimes be dangerous since the cleaning materials used could result in unwanted chemical reactions. What is the best answer for maintaining the cleanliness of these appliances? You guessed it; water softeners. 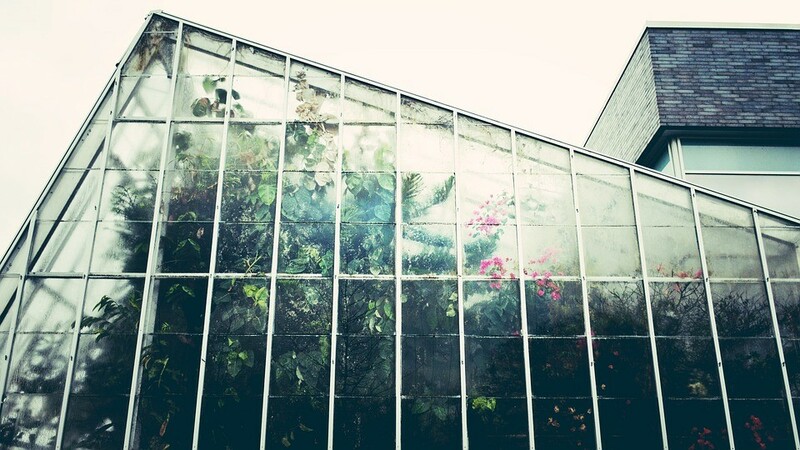 Greenhouses seek to maintain the perfect climate for plants to grow and thrive, and since plants need plenty of water, special care needs to be taken to ensure that the water used is not harmful. 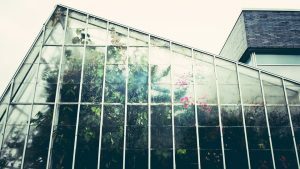 Water softening is a great way to take any dangerous contaminants or minerals out of the water that may resultantly hinder the growth of plants in greenhouses. To find out more about sourcing a water softener for your needs, be sure to speak to a consultant from Ernest Electro today. Alternatively, feel free to browse our website for additional information or assistance. When we talk about the efficiency of most types of machines, we are usually referring to how well it can convert one form of energy to another. If there is one unit of energy supplied to the machine and its output, in the same units of measure, is one half unit, the efficiency of it is 50%. What exactly is specific speed and how does it affect the pump curve? Specific speed was first applied to centrifugal pumps on the 1800’s and was then a modified version of one developed for water turbines. You will find that most pump designers tend to see specific speed as the most important contributor to centrifugal pump design, allowing the use of existing design and the test data in order to design similar higher and lower flow pumps as the specific speed of a pump is independent of the size. What are the individual efficiencies that affect operation? One of the most important parts of the volute is the cutwater, or tongue. The cutwaters purpose is to maintain the flow into the throat while still minimizing recirculation back into the case. The optimum clearance between the cutwater and the impeller periphery is the smallest distance that doesn’t give rise to pressure pulsations during the vane tip passing. A properly designed pump will generally have a full sized impeller which meets these clearance criteria. When your impeller is getting trimmed, the distance increases and then allows more fluid to recirculate back into the case. As the recirculation increases, the hydraulic efficiency will decrease. How does the curve shape affect the efficiency? The typical performance curve is basically flat at low values of specific speed and it will become steeper as the Ns increases. The pump efficiency is lowest at low values of Ns and it will increase as the Ns increases. It reaches its max in the mid-to-high 2000 range and it will also begin to decrease above 3000. Contact Ernest Electro on 011 792 9550/1/2 or visit our website on www.ernestee.co.za for more information about submersible pumps, sewage pumps and more.